Breathtaking view of the Canadian Rockies in winter. 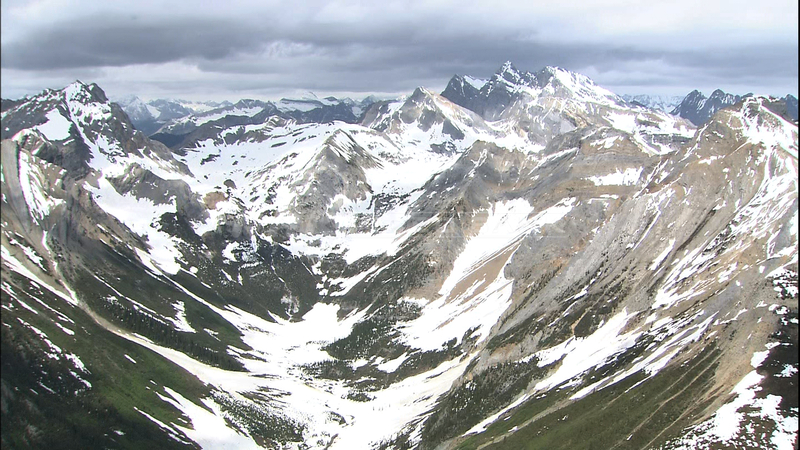 Aerial, pan shot of the Canadian Rocky Mountain Range and its snow covered summits. Masses of ice falling from Columbia Icefield, elk covered in snow, formations of ice in Johnston Canyon, fixed point observation of the snow melting process (from winter to spring).